The Bantu-speaking indigenous Africans, who would become WaChagga, settled on the southern and eastern slopes of Mount Kilimanjaro in waves of migration around five to six centuries ago. They migrated from other regions of what are now Tanzania and Kenya, attracted to the fertile soil and high altitude climate well-suited for the cultivation of crops and grass for cattle. Today the WaChagga comprise the third largest ethnic group of the 120 distinct ethnic groups in Tanzania. 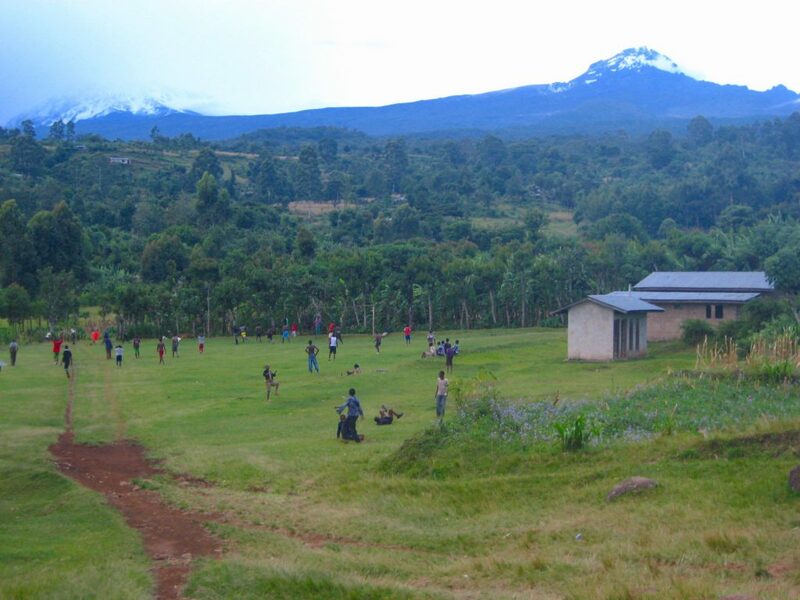 Historically, the WaChagga land was divided into a number of politically independent chiefdoms, in vertical swaths around the mountain, and separated by the deep valleys that extend downward from the mountain. With Tanzanian independence in 1961, the system of chiefdoms was abolished around Kilimanjaro and throughout the country in favor of the system of Regions and Districts unaligned by tribe that exists today. The main language spoken by the WaChagga people is Kichagga. Various dialects are spoken in different parts of the mountain (language areas are most readily identified along the lines of the former chiefdoms). The dialects are mutually intelligible so there was never a problem for speakers in one area to understand those of different parts of the mountain. Kichagga is still widely spoken today – most commonly by elders – though it is still understood by all generations even as most younger WaChagga use Swahili as their first language. The WaChagga are known to be among the most entrepreneurial and best educated in Tanzania. 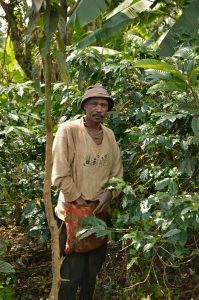 This is certainly due to their successful agricultural methods, in particular coffee production, but the WaChagga also benefited from the western education offered by Christian missionaries. They were one of the first tribes in Tanzania to wholeheartedly embrace Christianity, which may have given them an economic advantage over other ethnic groups because, as Christians, they had preferential access to education, health care, and other resources offered by missionaries. The fertile soils of Mount Kilimanjaro and its favorable climate is perhaps the initiating force behind the success of the WaChagga people. They practice an intensive irrigated agriculture on terraced fields, keeping the fields under permanent cultivation through the use of animal manure as fertilizer. They have created a highly productive intensive cropping system in conjunction with agro-forestry practices that involve the integration of several multi-purpose trees and bushes with food crops, cash crops, and livestock on the same unit of land. Home gardens enable WaChagga farmers to sustain production with a minimum of external inputs, offering a successful model of permaculture land use that could be extrapolated to other areas of East Africa with similar ecological and socio-economic characteristics. The WaChagga grow many types of bananas and millet, maize, beans, cassava, sweet potatoes, yams, sugarcane, paw paws, squashes, and avocados. Since the 1920s coffee has been the major cash crop (bringing in over USD 60 million per year). The traditional WaChagga house, known as msonga, was cone-shaped and made of local treated wooden frames and dry banana leaves. These houses were quite large and needed the help of other villagers to build. Family members and livestock lived together in the house. By the end of the nineteenth century, Swahili style houses were introduced from the coast. These were initially constructed mainly by chiefs. These houses are rectangular, with walls made of sticks and mud, and thatched roofs. Nowadays, the Swahili style is ubiquitous on Kilimanjaro and are more commonly built with cement walls and corrugated iron roofs. Each WaChagga family lives on the same plot as their banana/coffee garden. The gardens are, for the most part, bordered with living fences that mark their boundaries. Like many tribes, the WaChagga have their own tradition of alcohol-brewing. 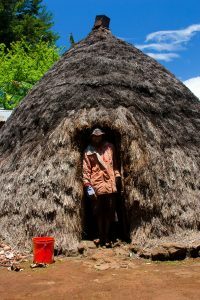 They make mbege, or banana beer, a drink fermented from ripe bananas and sprouted millet powder. 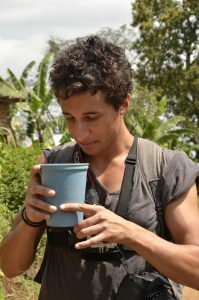 Mbege is traditionally brewed by hand and only by women, utilizing a long process that takes up to four to five days to be fermented and then strained. Those producers who make a superior mbege are well known and their product can be in high demand. While WaChagga enjoy mass-produced beer and stronger spirits, mbege is still popularly consumed and is ubiquitous at important festivities such as weddings, births, rites of passage, and even after funerals. No one is really certain of the origin of the name Kilimanjaro, but the names of its two highest peaks, Kibo and Mawenzi, most certainly derive from Kichagga. Kibo comes from kipoo, which means “spotted,” like the many black rocks dotted throughout the permanent snow on the mountain’s peak. Mawenzi comes from kimawenze, which means broken or notched—as one might describe Mawenzi’s top. The WaChagga have one legend that explains the formation of Kilimanjaro. It entails a man named Tone who provoked the WaChagga god, Ruwa, to bring famine upon the land. When the people became angry and forced Tone to run away, nobody wanted to help him except for a solitary man who had the ability to turn stones into cattle. This man warned Tone to never open the stable of the cattle, but he did not listen and the cattle escaped. As Tone pursued the fleeing cattle, they produced the solid hills to aid their escape, including Mawenzi and Kibo. Out of exhaustion from the chase, Tone finally collapsed onto Kibo. Traditionally WaChagga believe that mountain dwarfs, Wakonyingo, live in caves beneath Kilimanjaro’s slopes and ravines. The Wakonyingo have very big heads and hunt those who bring bad spirit to the mountain. These traditional beliefs (and many more) are still held by some WaChagga in rural areas, though the intensity of these beliefs has largely disappeared. 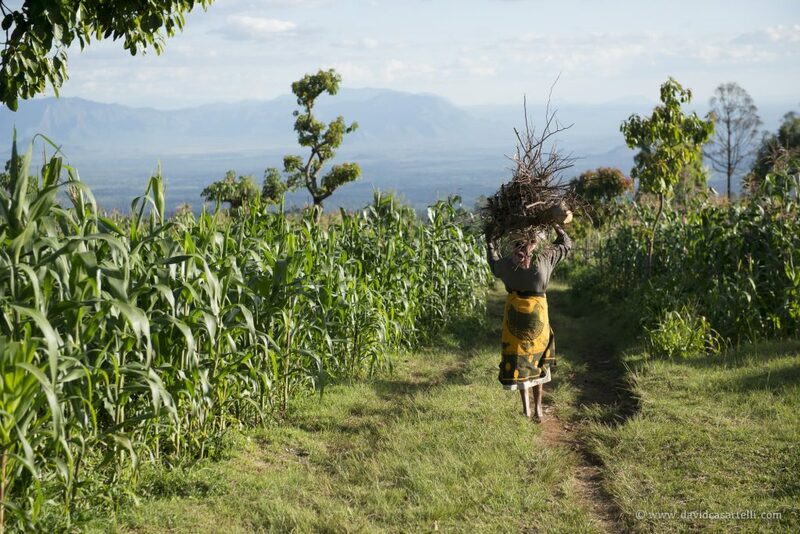 At SENE’s Mbahe Farm Cottages in the Kilimanjaro foothills, most of the employees you will meet are WaChagga whose families have lived for generations in Mbahe Village. They are happy to share with you their traditional and current lifestyle, and will guide you through the village with plenty more to tell you about the WaChagga.